Hi there dear friends! I hope this post finds you having a wonderful day full of sunshine and blue skies. If you don't have any sunshine at the present time, I hope that you find a way to create your own. 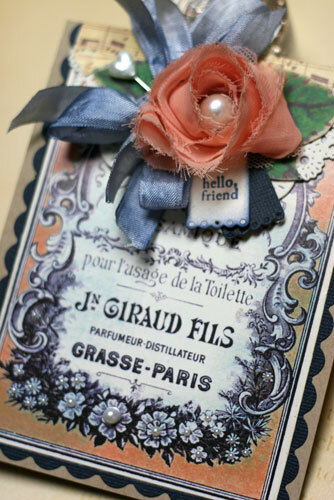 My favorite way to create sunshine on a cloudy day, is to design a card that will bring a smile to someone else's day. Ahhh...there is no greater joy than that!! 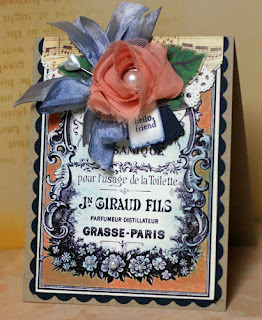 My first card is made with Glitz Designs Laced with Grace Whatnots. 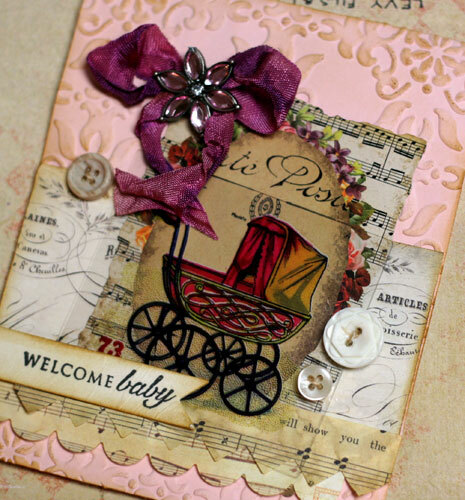 It doesn't get any easier than using a Whatnot as the base and embellishing your card with pretty little goodies. I am sure this little card will be the perfect cure for a cloudy day for a friend or loved one! 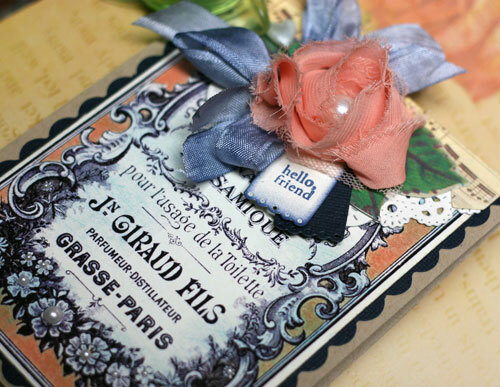 and I colored my white hug snug seam binding with Tim Holtz Chipped Sapphire ink using a blending tool...so easy!! 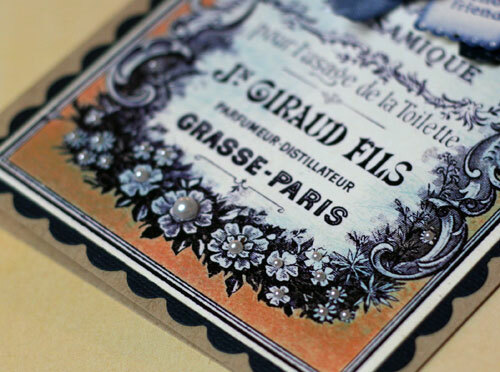 I grounded the Whatnot to the card base using a thin scalloped border. Next up, I created a sweet little vintage card to welcome baby. How fun to send a keepsake card to a brand new mom and brighten her day!! I used a Stampin' Up! embossing folder to emboss the base of my card. Then I added some Brushed Corduroy distress ink to make the embossed images pop! 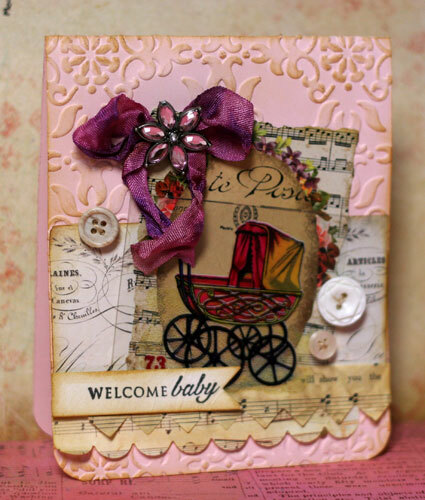 I added a Laced with Grace Journaling sticker and an Afternoon Muse Peekabo and had the perfect focal point for this little vintage card. I hope this gives you some ideas on creating your own sunshine. Whether you create for yourself or for someone else. Creating is the best way I know to add a little happiness to the day!!! Oh my goodness !!! These cards are beautiful..... absolutely. Love the vintage shabbyness.